Graham has launched yet another 1940s style pin-up girl watch this year, but this time with a Chinese New Year’s twist. 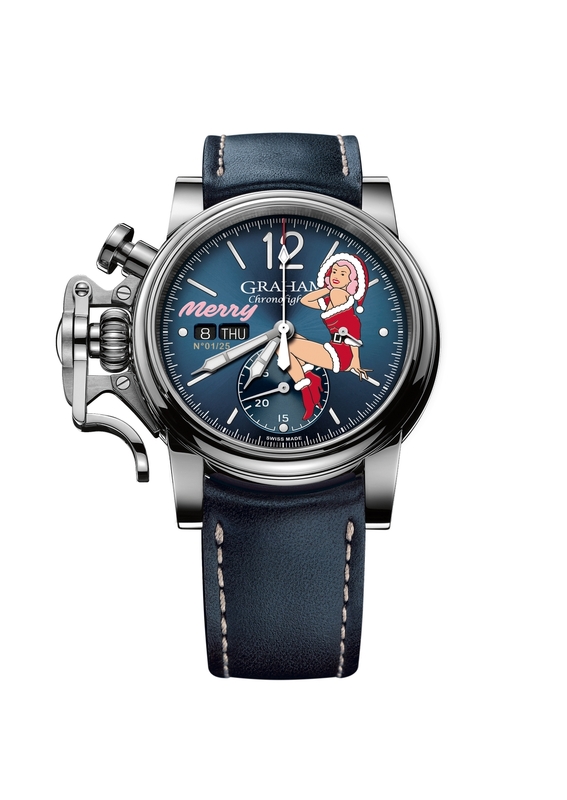 Graham has been expanding its Nose Art line for a while now, chronographs that feature a 1940s style pin-up girl engraved into the dial and then the ladies’ name written at 9’clock. Within this family is the “Merry” timepiece that sports a somewhat under-dressed Mrs Clause sitting on the dial. The 44mm Chronofighter has a chronograph function to which the Cheongsam girl “Kelly” is worked into, having her legs part of the sub-dial and her body and dog part of the main dial.